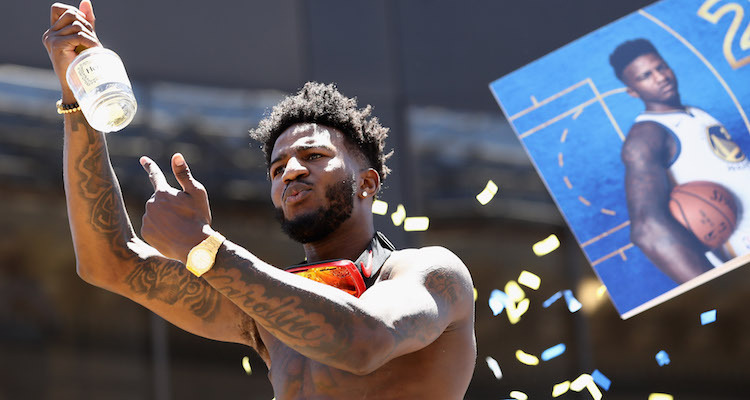 The most entertaining moment from last week’s Golden State Warriors championship parade was when 23-year-old rookie Jordan Bell ran out of Hennessy, stopped the parade, and went into the crowd to borrow a big old swig from a fan. Obviously Bell didn’t expect anything to come of all that. He was just having a good time. But it turns out that his impromptu Hennessy run is paying off anyway. Apparently the world’s most famous cognac brand really appreciated all the free publicity Bell got them. Because they thanked him by sending over enough bottles to get him and his friends through a few more days of pretty hard partying. A lot of haters on social media have been giving Jordan Bell a hard time for partying so hard when he contributed so little to the Warriors’ championship run. But you know every single one of them would trade placed with this kid in a heartbeat. 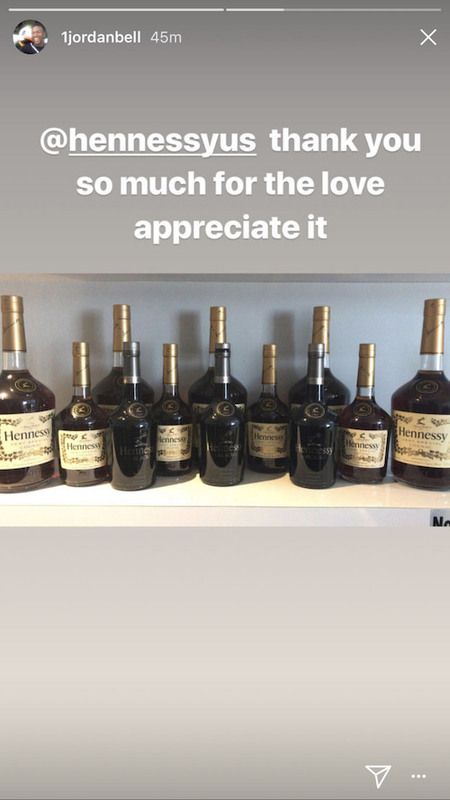 As for the free booze, just a friendly reminder to Hennessy and every other liquor brand on earth that I will happily work your products into every single post every single day in exchange for some free samples.